The Way of Mestral offers in just four days a spectacular combination of sea and mountain with infinite panoramic views around the Mestral Lands. 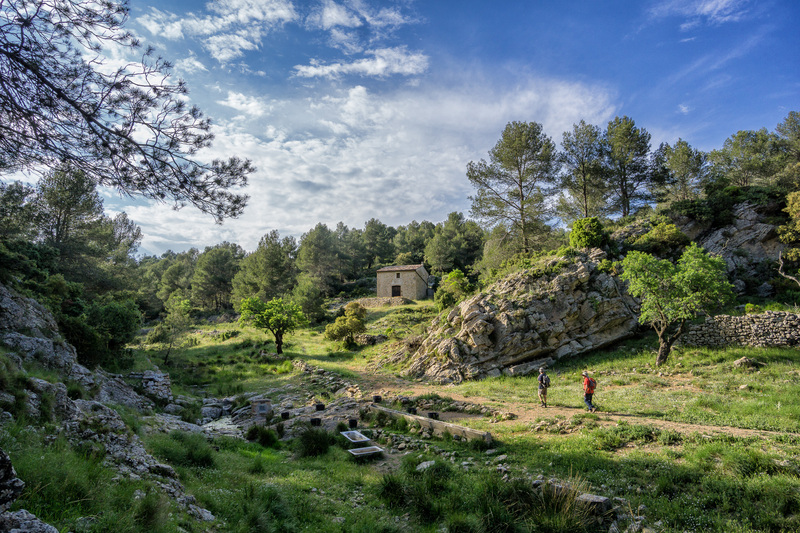 It is an area of small inland and coastal villages that preserve the essence of a very lively rural life, ideal for contemplative hikers eager to discover forgotten places of great beauty. 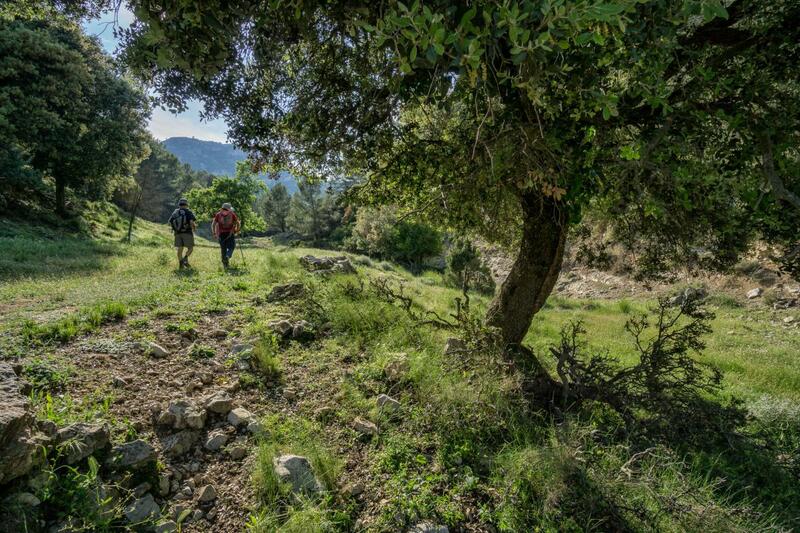 The best option to enjoy this route, walking from one village to another, and from one accommodation to the next one, for four days. You can choose if you want to stay for some extra days at the end of the route to be able to explore the area. 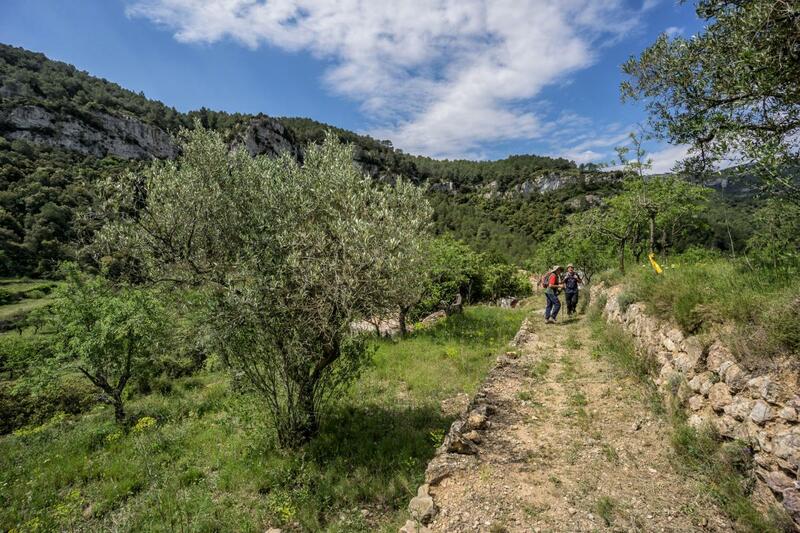 For those who will not have four consecutive days available, there is also the option of walking the route on two weekends (not necessarily consecutive) and discovering the area in a relaxed fashion. If you prefer a base where to stay that is in addition a charming hotel, this is your option. From Pratdip you can walk the Way of Mestral using the taxi service to take you to the starting and finish points. You can purchase the welcome pack of the Way of Mestral in any of the villages along the route and discover it at your own pace. WHO CAN WALK THE WAY OF MESTRAL? 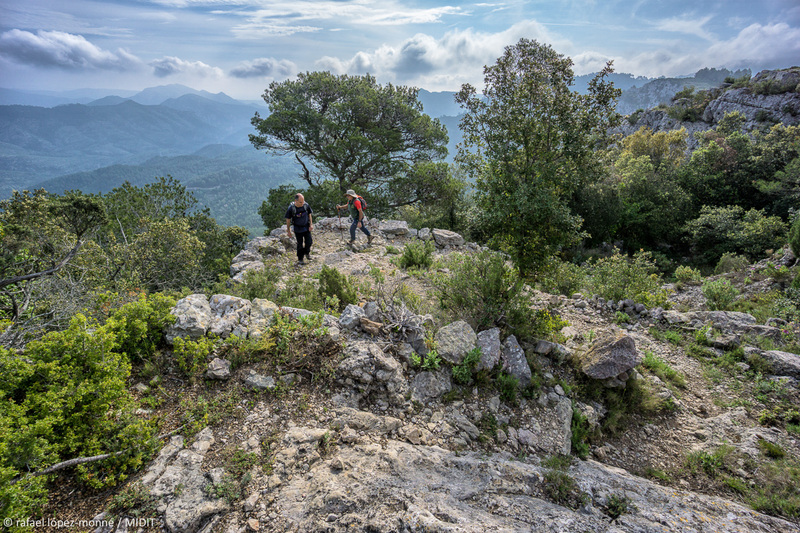 The Way of Mestral is a mid-mountain hiking route without major techni- cal difficulties but, at the same time, not ideal for beginners, as in addition to the length (complexity or duration) of some treks, there is also an accumulated positive slope and a steep terrain in some sections. 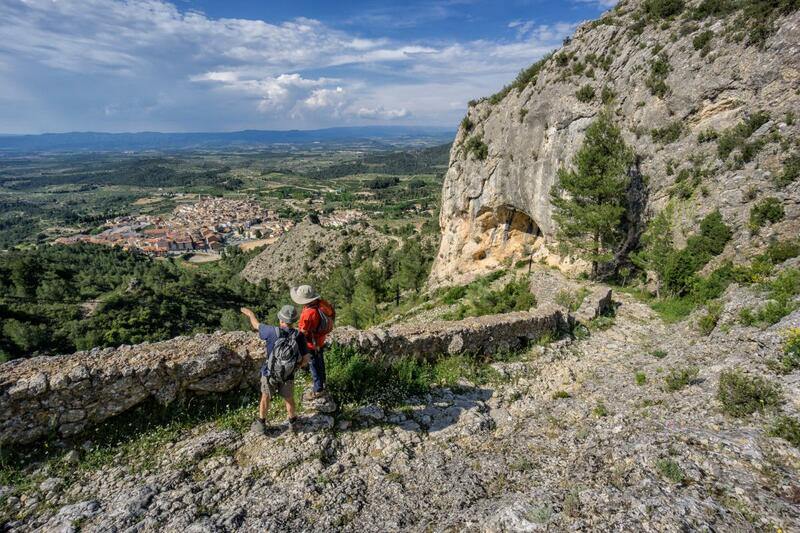 A captivating choice for those who love walking, nature and the mountains by the sea. DAY 1. Arrival at the Hospitalet de l'Infant. Welcome by the guide in self-guided groups. We have guided groups, the reception is done the next day, the first day of guided tour. Half-board accommodation at Hotel Sancho. DAY 2. Excursion that goes to the land of Dips, the mysterious vampire dogs that drove those who dared to roam the night. 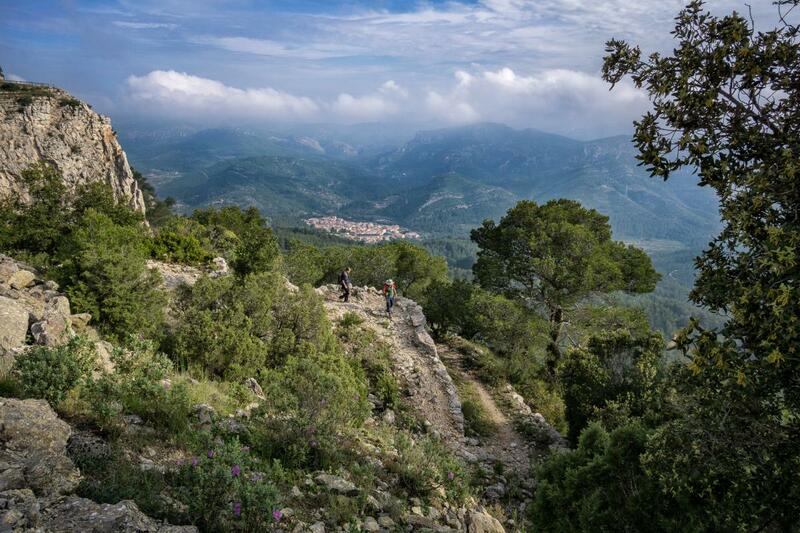 From L'Hospitalet, we cross the landscape of the plain until reaching Masriudoms, one of the towns of Vandellòs. Following the old horse railway, we arrive at El Cota Farm, where we continue across the Marian estuary to Coll del Marquès. 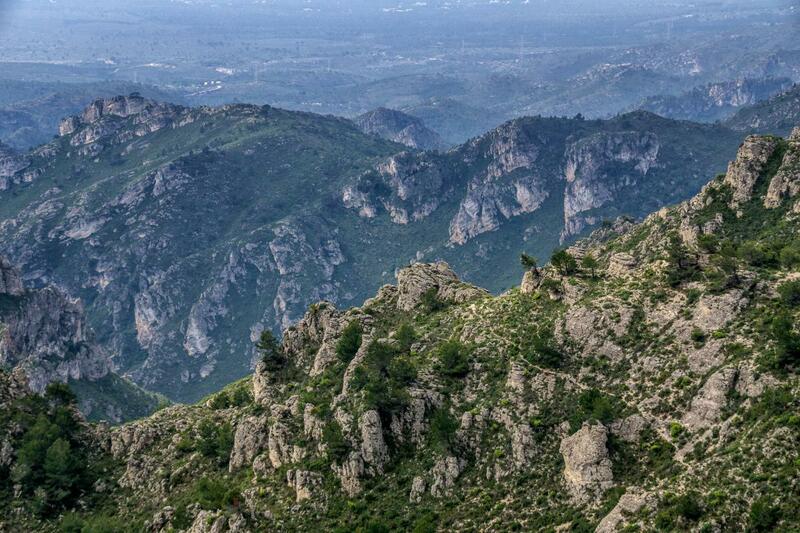 Here, we move away from the most obvious path and overcoming the tracks of the Fox and the Hunter, we arrive at the top of the Sierra de la Güena, with very good panoramic views. From here we turn left to visit the Hermitage of Santa Marina and, following the old Hermitage Road (GR), we arrive at Pratdip. If you want to cut distances, we can stop at Mas Mariassa before reaching Pratdip and leave the village visit for the next day. DAY 3. From the accommodation, we go down to the old hermitage road and we arrive at Pratdip. When you reach the city by the street of the hermitage, we take the street of the Cruz to the left and, after crossing the road, we take the intense but brief rise of the Solans, reaching quickly splendid panoramic views. At the top, we can visit the dry stone clap or the kiosk of the Nolla, then pass the Portell and the Grauets of the Student. 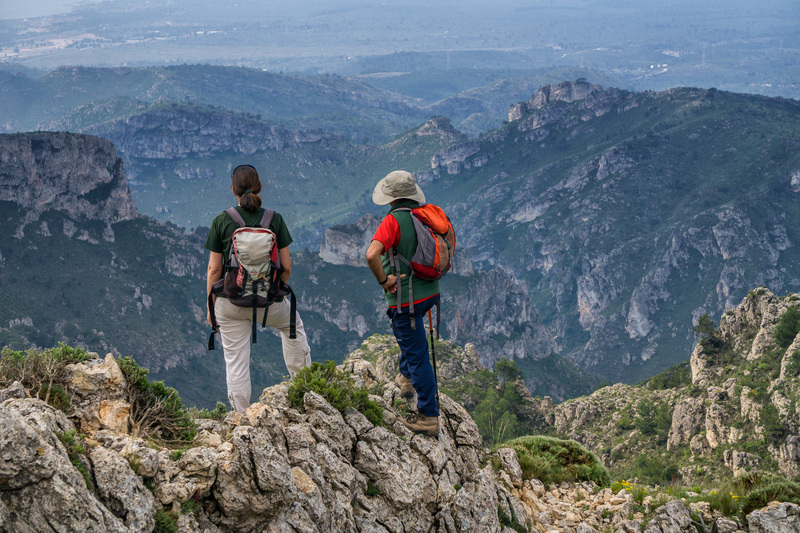 After planning on the spectacular La Forestal trail, we will cross the Carreter Gate and reach the highest part of the mountain range until we reach the core of Llaberia. 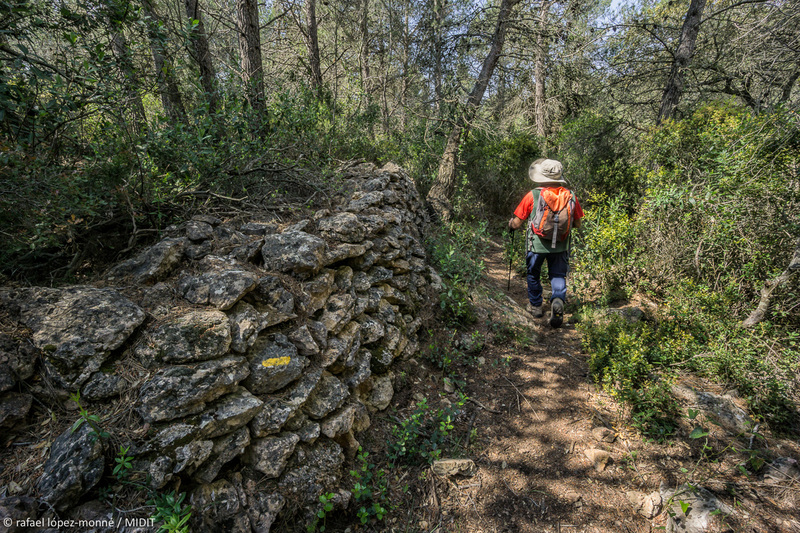 From Llaberia, we continue along the road and soon take the old road of Tivissa, which goes down a good part of the cross section of old fields to reach the village of Tivissa between the fields of cherry trees. Half-board accommodation in a bungalow of camping Tivissa. Previous reservation. 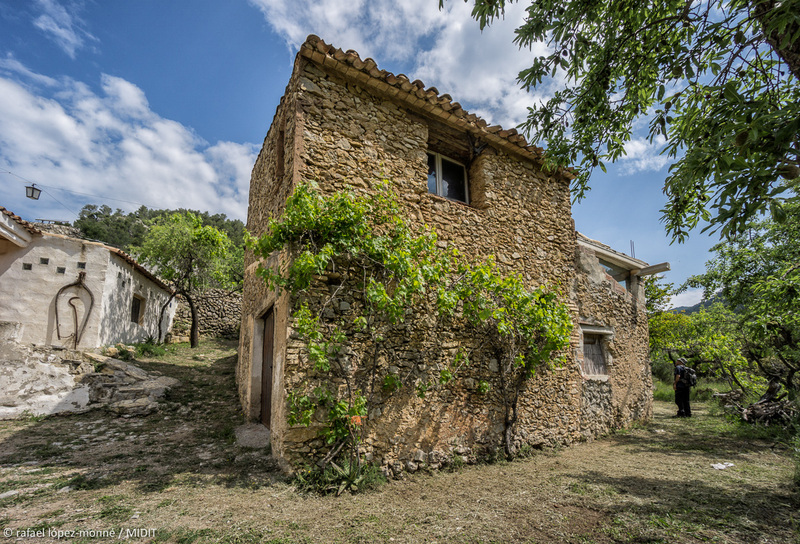 Opportunity to visit the cellar Cedó Anguera, in the Serra d'Almos, which produces DO Montsant wines and also cherries. DAY 4. 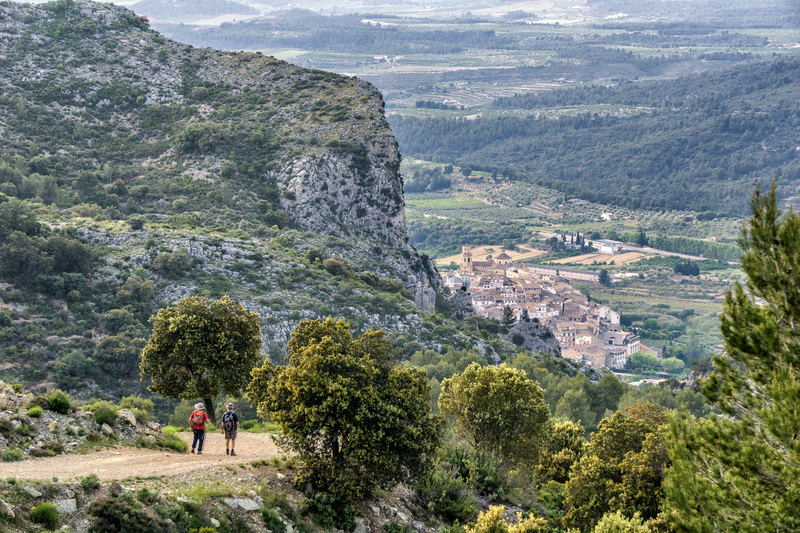 From the village of Tivissa we head towards the spectacular steep climb of La Llena until we reach Collar de la Llena and Collet de Monetze. 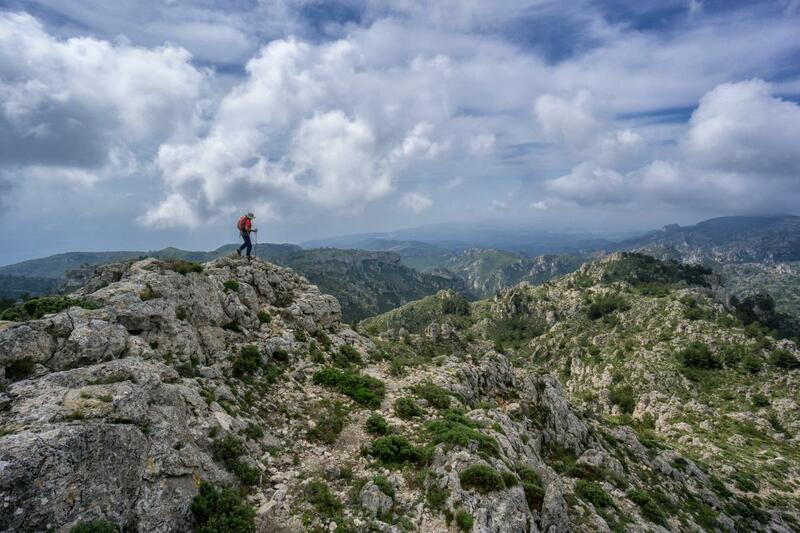 The most daring, they can have a good time between going up and down the summit of Tossa, located at 718m. The path crosses ancient fields of culture that have entered the steep mountain, passing through the farm of Melica, Jovara, until reaching the hill of Rourar, where once again we will climb up to the spectacular Mule of Genessies, crowned for an Iberian city. 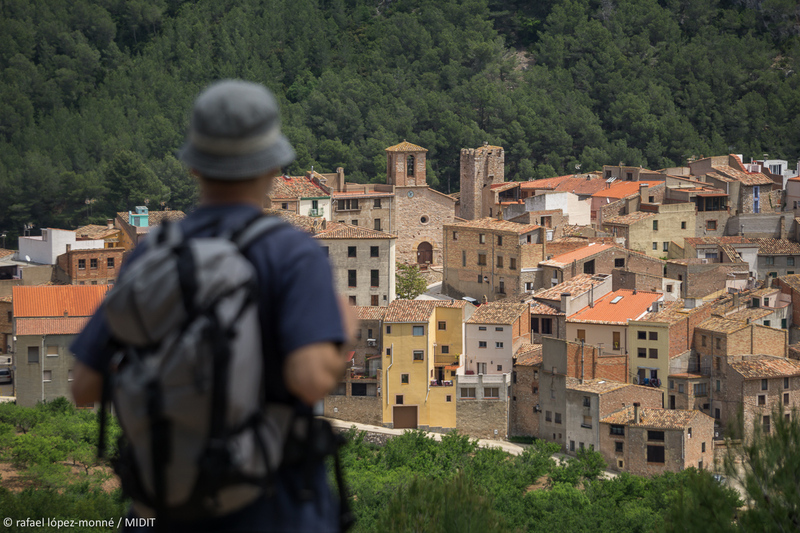 We will descend to the fortified village of Genessies, we will pass through the Iberian town of Lleixares and we will arrive at Vandellòs by Mas valentí, one of the old towns of the municipality. Half-board accommodation in Cal Barceló. Catchering dinner and breakfast offered by Deviteca. DAY 5. 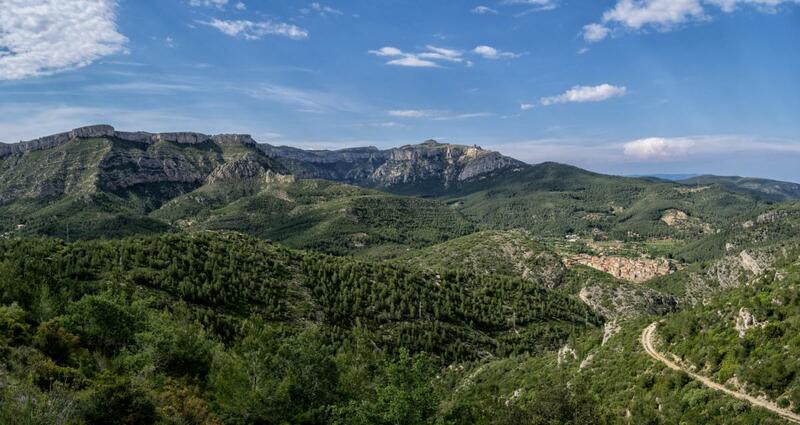 We ascend through the degrees of Vandellòs to the Dedals, on the old paved road which offers us spectacular views from the top of the last bend. 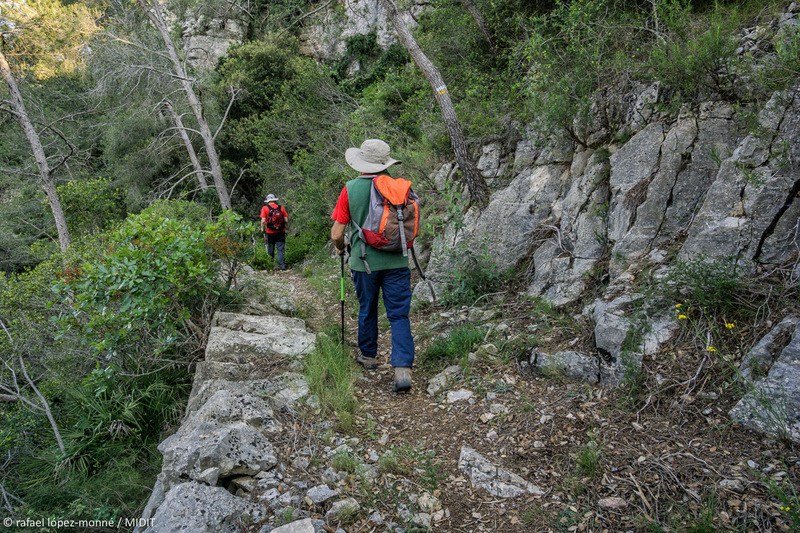 On the edge of the Puigbodell hill, we will reach the ruins of the old Navy farm, which still retains the source, a very precious water point in this dry mountain range. 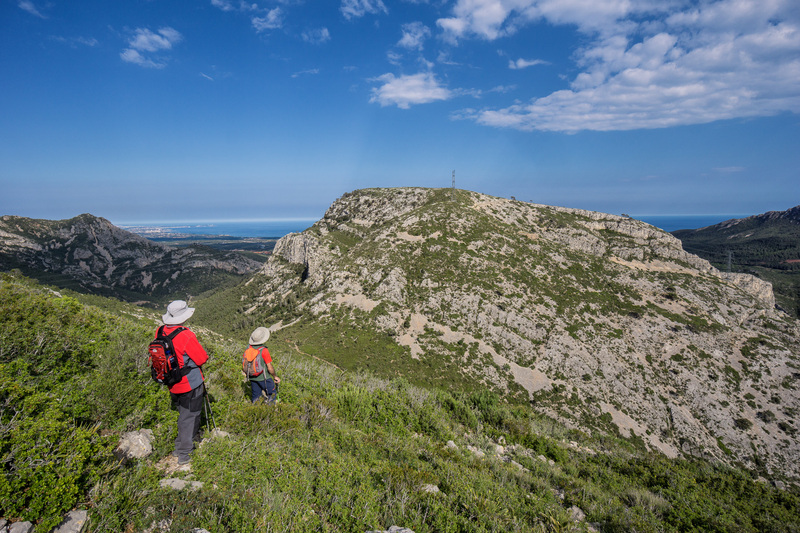 After reaching the summit of Molló Puntaire, we go down to the sea by the Corb canal, then we follow the old road of Aigualcoll. Now, we can only cross the barrier of infrastructure to reach the Mediterranean Sea, which will allow us to cool off and rest our feet for a good part of the year. Half-board accommodation in Hotel Sancho. With the possibility of doing a DeLuxe version, ending with one or more nights at Mas Mariassa, in Pratdip.